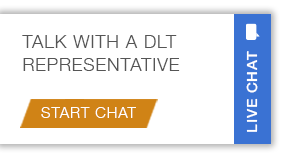 Herndon, Va. (January 15, 2019) - DLT Solutions announced their participation in the Amazon Web Services (AWS) Marketplace Consulting Partner Private Offers (CPPO) program. DLT can now sell software solutions on behalf of Independent Software Vendors (ISVs) directly to customers on the AWS Marketplace. Many customers prefer to purchase software solutions through AWS Partner Network (APN) Consulting Partners and this capability allows DLT to automate the procurement of software and services solutions to their AWS customers. "Our customers are demanding flexible consumption and contract models and the 'one-click ease' of purchase capability that the AWS Marketplace offers," said Danny Climo, DLT Vice President of Sales. “Our ability to distribute ISV software, bundled with our partners’ professional services on AWS Marketplace, is a key differentiator for DLT. The CPPO Program enables DLT to accelerate the growth and adoption of our ISV’s partners’ products via an enterprise-grade e-commerce platform in the public sector. Customers can now subscribe to the AWS Marketplace CPPO Program from DLT through their AWS Marketplace management console and will benefit from shorter procurement cycles, flexible consumption and contract models, and consolidated billing. "Our customers want to purchase software solutions from their trusted APN Consulting Partners from AWS Marketplace, which brings integrated discovery, provisioning, billing, and tagging,” said Whit Crump, Global Head, AWS Marketplace Channels, Amazon Web Services, Inc. "As an early participant in the new AWS Marketplace Consulting Partner Private Offers Program, DLT has demonstrated its commitment to providing customers with a simpler and more flexible purchasing and billing experience." For over 27 years DLT has been serving public sector customers exclusively and helping technology companies accelerate their growth. With the unique nature of the public sector market, DLT continues to build the most extensive portfolio of public sector contract vehicles to support their growing AWS partner ecosystem. As the only Premier Consulting and Public Sector Distribution Partner for AWS, DLT will help partners and ISV’s seamlessly navigate their way to the AWS Marketplace, and increase the adoption of consumption-based solutions via the CPPO Program. As an AWS Partner Network Premier Consulting Partner and AWS Partner Network Managed Services Partner, DLT helps make the path to the cloud seamless and cost efficient for our ISV clients. Our AWS-certified technical experts provide architectural and technical direction in the selection of appropriate cloud solutions, as well as dedicated services for configuration, training, and ongoing support.